Nemesis has been developed in conjunction with our sponsored international players to make this one of the best sticks in the market. Made from 100% carbon, and supported by our I-core shaft technology, our flagship stick is perfectly balanced and offers incredible power transfer into the ball. The head of the stick is covered in our unique control compound material. 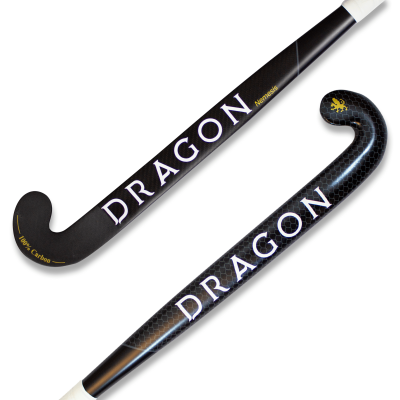 Its extreme low bow makes it the stick of choice for forwards who love showing off their 3D skills and for drag-flickers who prefer a bigger bow near the head.